The honor was announced during the recent World Travel Awards in Vietnam and represents the 62nd award the Manchester, England-based airline has collected in just five years. The World Travel Awards are voted upon by travel and tourism professionals, as well as business and leisure travel consumers. The airline’s other awards include being named top in the airline category at the Customer Service of the Year awards and being named Airline of the Year by the Scottish Passenger Agents’ Association. The company includes Thomas Cook Airlines UK, Thomas Cook Airlines Scandinavia and Condor. The airline flies from more than 20 airports across the UK, carrying about 6.7 million passengers annually. Some of the 60 destinations serviced by Thomas Cook include North America, the Caribbean, India, and resorts in Europe. Earlier this year, the rapidly expanding company launched Thomas Cook Airlines Balearics, which will be based in Palma de Mallorca and will start operating in this summer. With the newly founded sister airline, the combined fleet will increase to 92 aircraft, which transport about 16.7 million passengers to more than 160 destinations. The airline also announced in July that it is adding a Manchester to Seattle, Washington route in 2018. 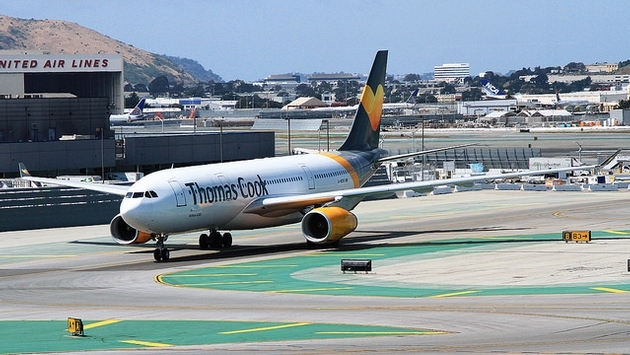 Thomas Cook already flies from Manchester to San Francisco, New York, Las Vegas, Boston and Los Angeles.